Winners get $1,000 for school; travel and lodging for Commodity Classic. It may seem like Dec. 9 is a long time away, but the National Corn Gorwers Association is reminding college students that it will get here a lot faster than you think. "While the Dec. 9 deadline may still seem distant, it is important to note how quickly time passes for students busy with their studies," said Brandon Hunnicutt, NCGA's Grower Services Action Team Chair. "Completion by the deadline is required for consideration, and NCGA hopes that all interested parties are able to submit. This program fosters tomorrow's leaders. Reminding qualified students to apply is a proactive step to better the future of the industry." Applicants for the NCGA Academic Excellence in Agriculture Scholarship Program must be entering at least their second undergraduate year or any year of graduate study, and they, or a parent or legal guardian, must be an NCGA member. Scholarship applications must be postmarked on or before Dec. 9. Scholarships are for one year of study and can be applied to tuition, school supplies or student housing. Previous winners cannot reapply. 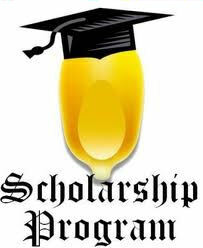 Scholarship recipients will be selected in early 2012. Recipients and a parent or guardian will have their travel and lodging expenses paid to allow them to attend a portion of the 2012 Commodity Classic in Nashville, Tenn. They will also be recognized at the NCGA Awards Banquet and have the opportunity to learn more about modern agriculture through events that are part of the annual Commodity Classic. This marks the fifth year for the program partnership between BASF and NCGA. Click here for the complete rules and application packet.